It is recommended that you use a licenced asbestos removalist to remove asbestos from your home. However, in NSW as long as you take the appropriate safety precautions, you are permitted to remove a maximum of 10 square metres of bonded asbestos. If you are removing more than 10 square metres, you MUST either hire a qualified asbestos removalist or obtain a NSW SafeWork bonded asbestos removal licence which requires you to attend an appropriate training course run by TAFE or a registered training organisation. Any loose or friable asbestos must be removed by a qualified asbestos removalist and cannot be removed by the homeowner. Refer to Safe Work Australia’s ‘Safe Removal of Asbestos 2nd Edition [NOHSC: 2002 (2005)]. Is it Safe to Remove Asbestos Yourself? If you must remove it yourself, you MUST take precautions! Removing asbestos can be a dangerous and complicated process. We recommend using licenced professional removalists who will also dispose of it in accordance with NSW Government regulations. For instructions on how to remove asbestos safely download our Fact Sheet 1 or 2. The important point is this: if you need to work with materials that may contain asbestos, you must work so there is minimal release of fibres, dust or small particles from the asbestos materials. 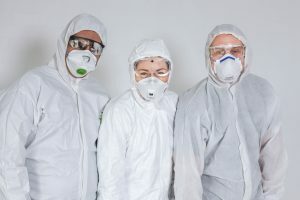 IMPORTANT: If the asbestos is in powder form or can be crumbled, pulverised or reduced to powder by hand pressure when dry, it must be removed by an asbestos removal contractor with a friable asbestos licence. If you are thinking about removing even a small amount of asbestos yourself, at the very minimum you should meticulously follow ALL of the steps listed on this website and on in the WorkCover Guide Working with Asbestos (catalogue no WCO5484) to protect your health and the health of those around you including children. Cover up and wear PPE (Personal Protection Equipment). You should wear the appropriate Australian Standards-approved PPE (Personal Protection Equipment) including respirator or dust mask recommended for the job (see manufacturers’ information when selecting and using this equipment). Wash your hands and face with soap and water before meal breaks and when finished work for the day. Asbestos fibres can be released if power tools are used for anything other than the removal of screws. Do not waterblast or scrub with a stiff broom or brush. It is illegal to waterblast asbestos cement sheets. 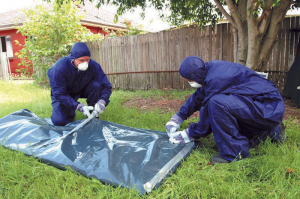 If the material has been accidentally waterblasted or has suddenly deteriorated in some way, you should call a licenced asbestos removal contractor. When removing asbestos cement sheets, use a pump spray to lightly dampen the sheets and keep the dust down. Remember: it is illegal to waterblast asbestos cement materials. Avoid drilling and cutting into asbestos products. Do not drill holes through eaves, flues or vents, as these may also be asbestos products. Never cut into an asbestos cement sheet. Instead remove the entire sheet and replace it with a non-asbestos product. Remove asbestos sheets carefully. Lower them to the ground, don’t drop them, to minimise breakage. Plan to have family members and pets away from the work area until after the clean-up. Talk to your neighbours and anybody else who may be affected by your removal and disposal of asbestos cement materials. Seal off other places where dust can get in, such as under doors. Close doors and use tape and plastic sheets to seal the work area off from areas inside the house to prevent contamination of other areas. Stack asbestos cement material carefully on plastic sheets, double wrap and tape, while still in the work area. Use 200um thick plastic sheeting or bags; these must not be made from recycled materials or re-used for any other purpose. Clearly label as asbestos waste. When stacking sheets, do not skid one sheet over another, as this will release fibres. Do not leave sheets lying about where they may be further broken or crushed by people or traffic. Remove all asbestos waste as soon as you can. Make sure that no dust leaves the work area on shoes, clothing, tools etc. 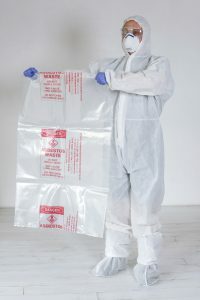 Put used disposable overalls and masks in bags for removal with other asbestos waste. Do not use house-hold vacuum cleaners. Use only vacuum cleaners that comply with AS/NZ 60035.2.60 that are fitted with appropriate attachments to reduce the release of asbestos fibres and dust. Avoid dry sweeping which stirs up dust. Dampen dust with a “mist” of water from a spray pump pack. Dampen all asbestos waste and double wrap in plastic and tape. Use 200um thick plastic sheeting or bags; these must not be made from recycled materials or re-used for any other purpose. Clearly label as asbestos waste. 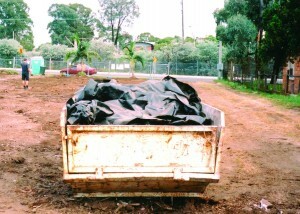 Transport all asbestos waste in a covered, leak-proof vehicle. 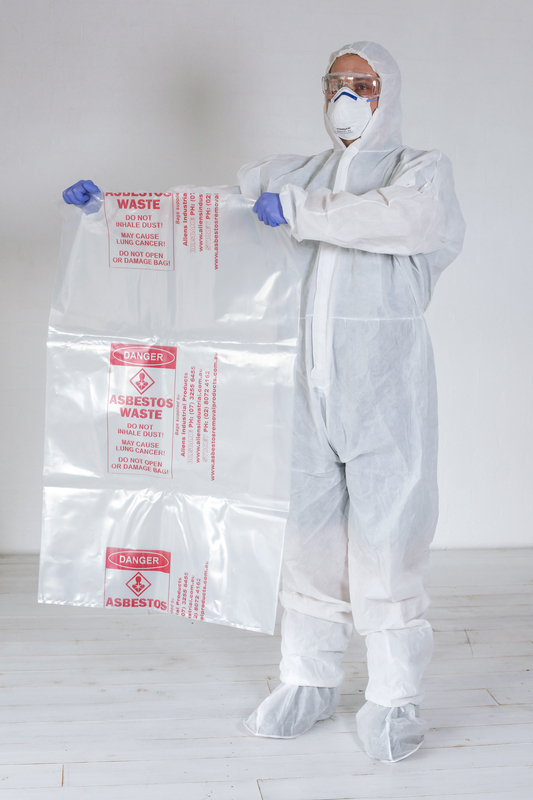 Dispose of asbestos waste at a landfill site that may lawfully receive the waste. It is illegal to re-use, recycle or illegally dump asbestos products, or to put asbestos waste in domestic rubbish bins. For more information about legally transporting and disposing of asbestos waste, visit the EPA website. Hail damage to your roof or any asbestos cement product can be as bad as waterblasting. Call a licenced asbestos removal contractor immediately if there has been heavy hail. Watch for weathering. Surface weathering can lead to the release of asbestos fibres from roofs. Weathered asbestos products can release fibres when disturbed, such as when asbestos roof or gutters are removed. All asbestos roofs should be sealed before they are removed to reduce the risk of asbestos fibres being disturbed. Fire damage. Fire damaged property containing asbestos product could result in loose asbestos fibres. 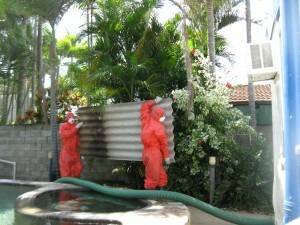 A licenced asbestos removal contractor must be used for cleaning up. Keep guttering (and downpipes) in good repair. As asbestos fibres collect in gutters after heavy rain, guttering and downpipes should be in good repair on buildings with asbestos roofing. Downpipes should not run into garden beds. Wet, clean and seal roof gutters before removing them. What about insulation? Insulation materials in house roof spaces are usually fibreglass, rockwool, paper or foam. Very few houses in NSW have loose asbestos insulation in the roof space. When to coat asbestos products. Many fibro walls are painted and there is no risk associated with painting bonded asbestos. Just make sure that you do not sand the surface before painting. Coating is not considered necessary on health grounds. 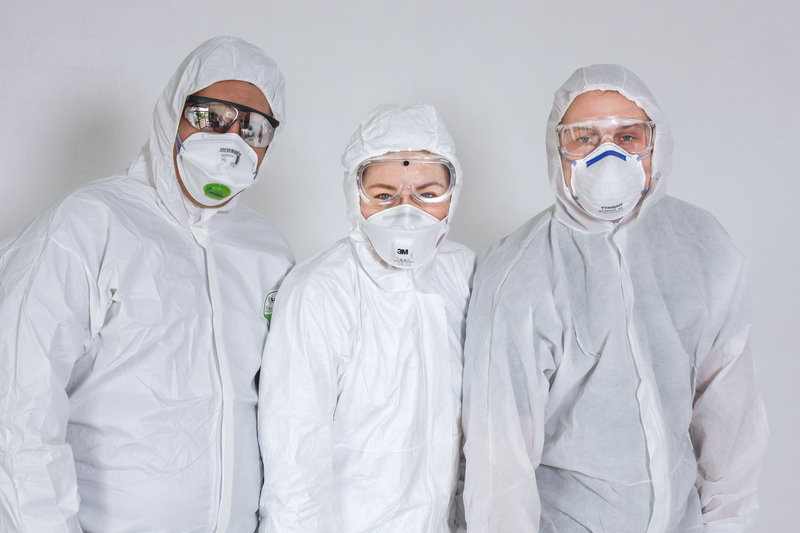 Surface coatings, however, may provide an extra level of protection against the possibility of asbestos fibres being disturbed and becoming airborne and can extend the life of asbestos products. Special sealants only should be used on asbestos material, as ordinary paints do not bond well to the surface of weathered asbestos cement products. Seek professional advice and use a professional painter, where possible. Do not sand surfaces before painting. Damaged roofs must be sealed before removal. Roofing that has weathered to the point where it is structurally unsound and no longer waterproof should be replaced. If you decide to coat your roof, have a professional do it. See Asbestos Disposal and Asbestos Legalities for detailed information about the safe disposal of asbestos.